Discover a Modern Approach to Teeth Whitening With Lublin Dental Center in Brooklyn, NY! Teeth whitening has become one of the most popular methods for enhancing the appearance of a smile and in their Brooklyn dental office, Drs. Adam and Theodore Lublin provide the GLO Science Teeth Whitening System for patients looking to brighten their smile quickly and without any sensitivity. The GLO Science Teeth Whitening System offers long-lasting results and its modern technology allows you to brighten your smile even once you leave the dentist’s chair. An acronym for “guided light optics,” the GLO Teeth Whitening System uses activated LED lights to brighten tooth enamel. 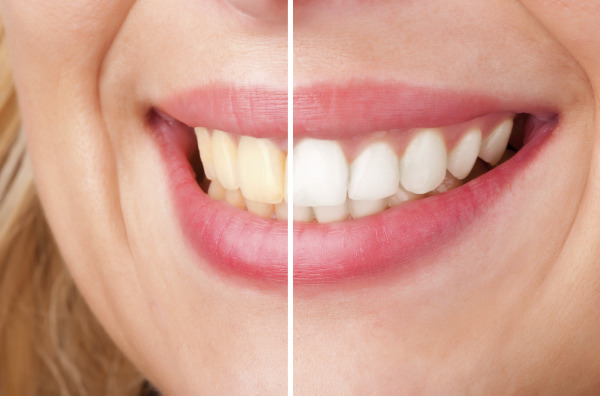 For patients who are self-conscious about yellowed or stained teeth, the GLO Teeth Whitening System is an ideal solution that is gentler and longer-lasting than other whitening methods. The GLO Teeth Whitening System includes both a chairside whitening session and a take-home whitening kit. The system features a mouthpiece with LED lights and heat resistors that are placed in the mouth once a whitening gel has been applied to the teeth. The chairside whitening takes no more than thirty minutes and brightens teeth up to five shades. Once the in-office treatment is complete, patients are given a portable take-home whitening kit that can be used throughout the day. The take-home kit includes the same LED lights and heat resistors as those in the dental office and are capable of brightening teeth for up to one or two months. During your in-office appointment, the whitening gel will be applied to your teeth and the LED light mouthpiece will be used to activate the gel. Because the light does not emit ultraviolet rays, you do not have to worry about protecting yourself from harmful lightening and there is very little tooth sensitivity once the procedure is complete. Afterward, you will receive a take-home kit that houses the same mouthpiece used during the chairside procedure along with a touch-up whitening gel and instructions for their use. You can begin using the take-home whitening kit forty-eight hours after your in-office treatment and can expect to be able to whiten your teeth wherever you go! The Glo Science Teeth Whitening System is designed with your busy schedule in mind, which is why the entire whitening procedure is structured for use at home in conjunction with one quick office appointment. If you would like more information about teeth whitening or to find out if the GLO Science Teeth Whitening System is right for you, contact Drs. Adam and Theodore Lublin in Brooklyn today!